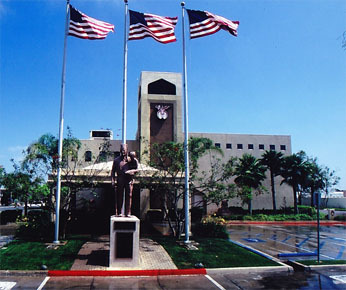 Dedicated in 1988, the Al Bahr Shrine Center on Kearney Mesa Rd in San Diego is home of the Al Bahr Shriners. It is conveniently located in Kearney Mesa between Highways 805 and 15, adjacent to Highway 163, 15 minutes North of San Diego and Lindberg Field. For fraternal business meetings, receptions, parties and seminars the Shrine Center Auditorium can accommodate your groups from 20 to 600 people. Our meeting facility consists of more than 8950 square feet. The first floor consists of a room with 5200 sq. ft. that can be partitioned into halves (2640 sq. ft.) or quarters (1280 sq. ft.). The second floor consists of a 3750 sq. ft. carpeted room. Catering is also available.